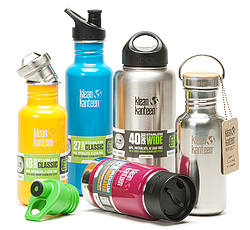 Our bottles changed the way people think & drink. 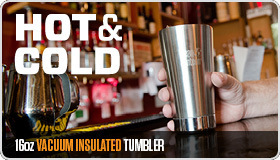 Single-wall, wide-mouth, and insulated continue the crusade. 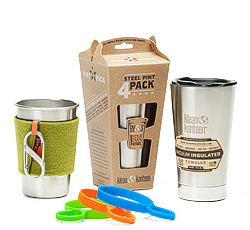 Revolutionary steel pint cups and insulated tumblers. 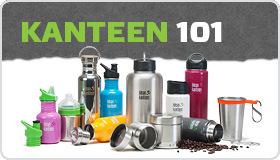 Replace a lifetime of single-use plastic and paper cups. 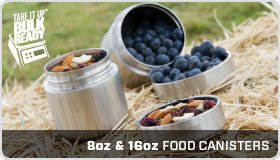 Tare It Up™, bulk-ready, stainless steel food canisters and containers. 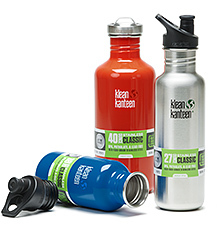 Serious food transport for school, work & play. 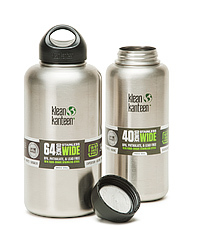 The first BPA-free metal bottle on the market in 2002. Revered for its durability and iconic place in history. 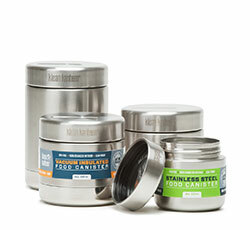 Wide-mouth, mason-jar like steel bottles with 100% stainless interior caps and a 64oz half-gallon size bottle/growler. 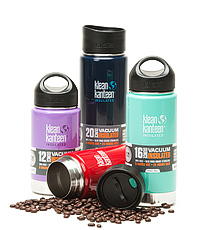 High-performance, double-wall, vacuum insulated Kanteens keep drinks hot up to 6 hours, and cold for more than 24. 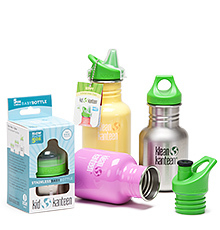 Our Kid Kanteens are safe, toxin-free alternatives to plastic: baby bottles, sippy cups and sport bottles. 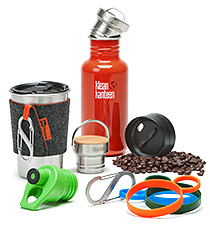 Accessories for bottles and cups, including steel caps, slings, bike cages, pint rings, carabiners and more. 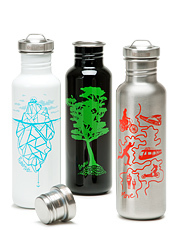 Our inspired graphics collection, three designs celebrating the natural world, and how we connect with it. Join Our Community. Get Involved. Share the Message.